I’ve been thinking (I know… dangerous, right?). It seems this whole “paleo thing” is catching on with the population at large. Well, at least here in sunny Southern California. It may not be a household word, but the movement has come a loooong way from 4 years ago (when I first joined the cave people). I remember the days of telling people what I was doing, how I was eating, and how I was feeling. I’d mention the word “paleo” and get blank stares. I’m sure you other cave peeps can relate. Nowadays, I can say “paleo” and most people have a vague, albeit sometimes misguided idea of what I’m talking about. They usually use veganism, vegetarianism, or Atkins as a reference point. So then comes the in-depth explanation (if they ask for it as I’m not really interested in beating people over the head with my paleo bible). What I’ve come to realize over the past few weeks that this thing that we call paleo, is not actually a diet. Sure, it includes a specific way of eating, but it extends to so much more, and therefore should be given its due credit. It’s not just a dietary protocol like Atkins, vegetarianism, and others. Somehow, paleo has managed to isolate the good parts, the biologically relevant pieces of all those dietary approaches and apply them to a new way of not only eating, but also living. It takes commonly accepted nutritional truths; things like, protein and fat are satiating or avoid eating meat from CAFO’s out of respect for our food sources and amalgamates them into one whole, complete way of life. Paleo is not just a diet. It’s how we live. Well, it’s how we’re supposed to live. I’m tired of people trying to pinhole paleo into a simple set of rules, which apply to some and not others. It’s not just about safe starches or eating 1 gram of protein per pound of bodyweight. The message of paleo does not revolve around the evolutionary appropriateness of dark chocolate or putting coconut milk and butter in coffee. Paleo is more. Paleo is going to bed when it’s dark and waking up when the sun peeks over the horizon. 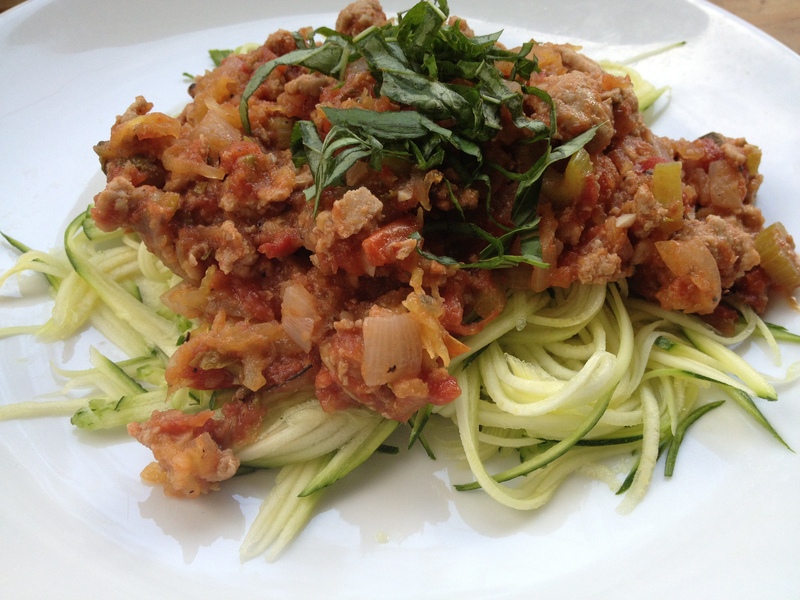 Paleo is honoring the earth and it’s bounty by choosing properly raised and farmed foods. Paleo is connecting with the people around you in a meaningful and honest way. It’s going out in nature and letting the sun kiss your skin and the birds sing in your ears. It allows us to question modern medicinal norms and encourages us to trust our body’s intuition (once you actually get to know your body). Paleo is not just a diet. I’m beginning to feel weird telling people that I eat Paleo. As if that’s it. As if paleo begins and ends with what I put in my mouth. When I meet those who have not heard about paleo and I get to dive into those deep explanations, it’s impossible for me to just disclose a list of foods that I do or don’t eat. I have to include all that other stuff too. Perhaps that’s why I feel like, for some of us at least, the paleo movement has a chance of surviving the “FAD”. 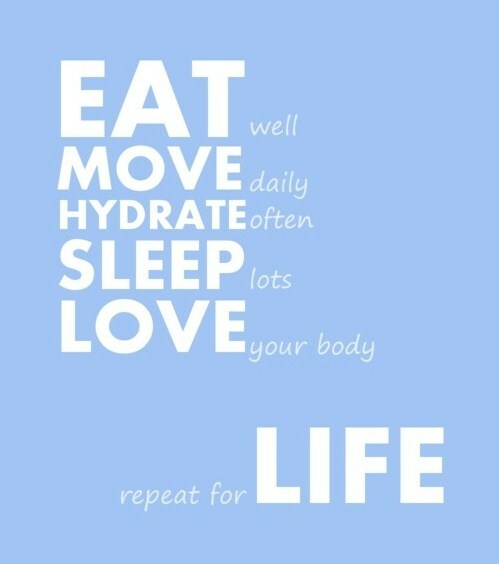 It’s an honest, holistic approach to living. It makes us stronger and better humans, not just lose weight or get totally jacked. It addresses health concerns, environmental issues, relational problems, animal rights, while at the same time… appealing to our vain nature. Yes, an additional benefit is that we all look better naked. Thank God for that. So, go ahead and chew on that for a bit. And then chew on this. In a medium pot, heat some oil over medium heat. Add turkey and some salt and pepper. Add onion, garlic, and celery. Let them cook with the meat until the turkey is mostly browned. Add tomatoes, vinegar, olive oil, and spices. Let simmer for 20 mins or so. Add more seasoning to taste. 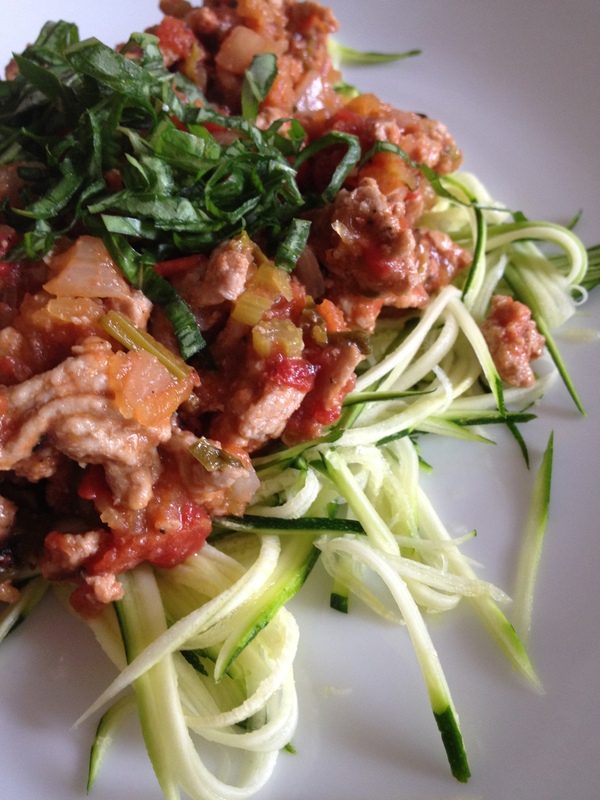 Serve warm over zucchini noodles and garnish with fresh ground pepper and basil. I’m not Paleo. I’ve found a different path that works for me. But I might try this recipe — it looks good. Yumm! I’ve got something for “guy cooking” for my gal tonight!